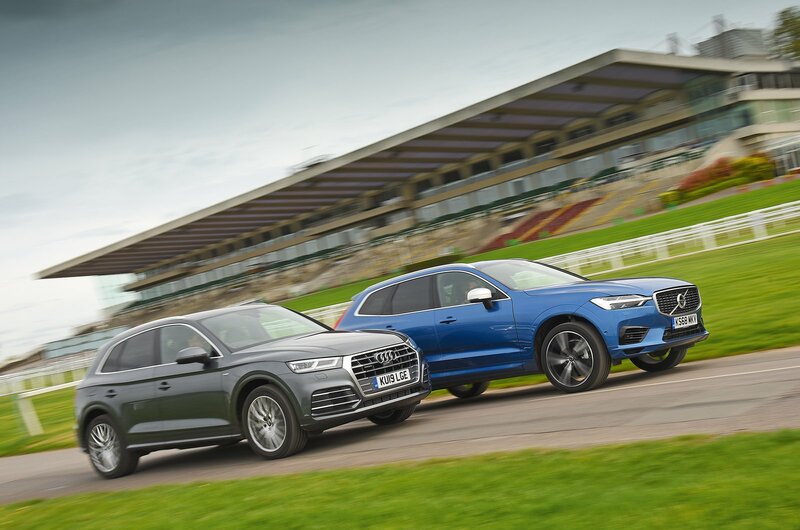 Audi Q5 diesel vs Volvo XC60 hybrid | What Car? 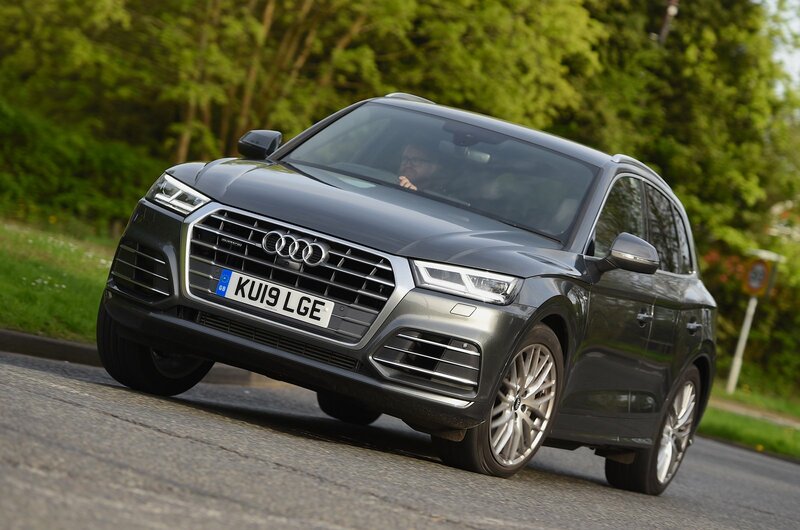 Featured here with a powerful 2.0-litre engine, the Q5 is out to defend diesel’s honour. A petrol-electric powertrain combines plenty of power with the promise of low running costs. Choosing a new car used to be so easy. If you wanted a frugal family wagon, you bought a diesel. If you were looking for a bit more oomph, you went for a big petrol engine. Simple. But the waters have been muddied. Diesels are becoming ever more powerful, while plug-in hybrids promise triple-digit fuel economy figures from petrol power. Throw in environmental concerns over diesel emissions and it’s easy to be bamboozled. Let us try to steer you through this potential minefield, then. Here we have two posh SUVs that promise gutsy performance and affordable running costs through very different methods. First up is the Audi Q5 40 TDI, which is powered by a 2.0-litre diesel producing 187bhp. That’s a decent amount, but the Volvo XC60 T8 has almost 400bhp thanks to its supercharged and turbocharged petrol engine and rear-mounted electric motor. True, the XC60 has a much higher list price, but once you've factored in the incentives hybrids attract, things aren't so clear cut, as we'll explore later in this test. Even with a heavy battery aboard, the XC60 is significantly faster than the Q5. While the diesel-powered car manages a respectable 8.0sec 0-60mph run, the hybrid does it in just 5.1sec. 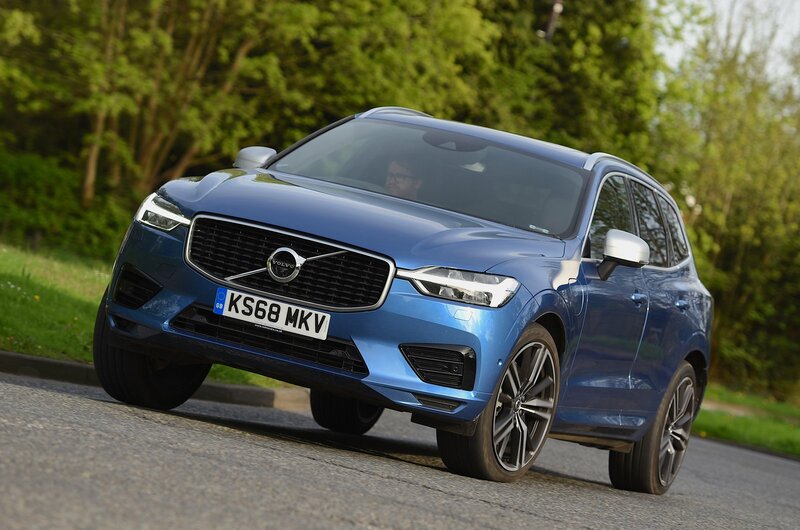 The XC60 also has a huge advantage when it comes to rolling acceleration – the sort of burst of speed required for overtaking or joining a motorway. However, the XC60’s front wheels have to deal with close to 300bhp from the petrol engine, while the rear wheels get less than 90bhp of electric motor shove. As a result, you can feel the XC60’s steering wheel writhing in your hands, whereas the Q5 accelerates without fuss. We’re not keen on the XC60’s brakes, either; the pedal pushes back at your foot unnervingly under heavy braking and its responses are inconsistent. The hybrid system hurts the XC60’s handling, too. The extra hardware makes it a much heavier car, so it feel ponderous in fast direction changes. Its body also leans over a fair bit in corners, even with the optional air suspension (£1500) set to its lowest and stiffest Dynamic setting. It’s fast in a straight line, then, but no fun on a twisty road. Compared with the hippo-like XC60, the Q5 feels like a gazelle. Even with its optional air springs (£2000) in Comfort mode, there’s far less lean and it zips through S-bends with ease. Grip levels are higher and the steering weights up more naturally in corners. It’s not as though the XC60’s squidgy suspension helps ride comfort, either. It’s lumpy around town, failing to take the sting out of ruts and potholes – a problem exacerbated by the big, optional 21in wheels fitted to our test car. The ride is more comfortable at higher speeds, although expansion joints still generate an unpleasant thwack. 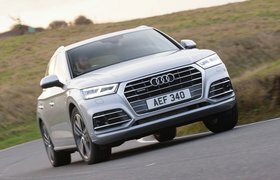 The Q5’s suspension may be a bit noisier, but it’s significantly more comfortable along any type of road you throw at it, even on optional 20in wheels. The Q5 whips up little wind noise at 70mph and the engine is virtually inaudible. The XC60 is by no means grating, but there is more tyre roar and wind noise. That said, the tables are turned around town, where the XC60’s ability to run on pure battery power makes it marginally quieter. Ah yes, electric power. Volvo claims the XC60 can cover almost 28 miles when running on batteries alone, although we managed 22 miles in the real world – still enough for most people’s commute. It’s smooth to switch between power sources and the engine is quiet and free from vibration. The Q5 is excellent for a diesel, but it’s still gruffer when idling, especially when cold.